Successor to the Highlander, this is a full size compression panel that does a great job as a small pack. Pocket Only ($148) - Just the pocket. This lets you use it as a compression pocket, or to mix and match with other pack components you may already have. Pack Kit ($205) - This adds a framesheet with center stay plus a full shoulder harness with load lifter straps. Large main dimensional pocket fully lined with First Spear's 6/12 PALS cut velcro loop fabric lets you create whatever organizational system you want. Center zip outer pocket with stretchy tweave fabric on the outside expands as you stuff it. Twin outer mesh pockets on either side of the center zip. Meant for drying your socks on the trail. Sized to take a bike bottle size bottle. Hypalon compression wings can be folded underneath for use on the Ute pack or brought around to the front when the Connor is used stand alone. The wings have a 2 channel pals grid cut into them for additional pouches either inside or outside of the wings. Dual mini-wand pockets are just big enough to accept bike bottle sized bottle, but excel for smaller items like trekking or fishing poles. Generously long bottom compression straps. Stay pocket is accessible from the suspension side. Can be used to store other flat items if desired. Harness mounting points are midway up the back to allow for a wide range of torso lengths. Includes (2) ITW repair ladderloc buckles. In pack mode, they are used for the load lifters. 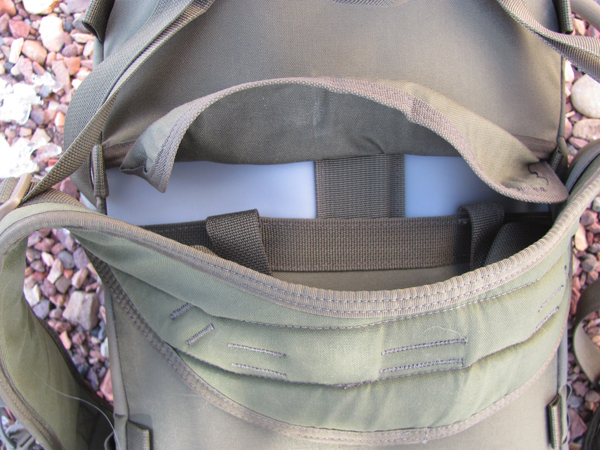 In pocket mode, they can be used on the very bottom tabs to tie into the bottom most compression straps on the Ute pack. First, insert the framesheet into the slot. It may be necessary to trim the width of the plastic portion of the sheet a little to make this easier. Insert it into the bottom portion of the slot first. The stay goes on the bottom, with the lumbar curve facing into your back. Then leverage the top of the framesheet slot over the top floppy portion of the framesheet. Finally, cover the gap with the sewn in flap. Next, attach the harness to the two harness straps. Adjust vertically so the lumbar curve rests in your lumbar curve. 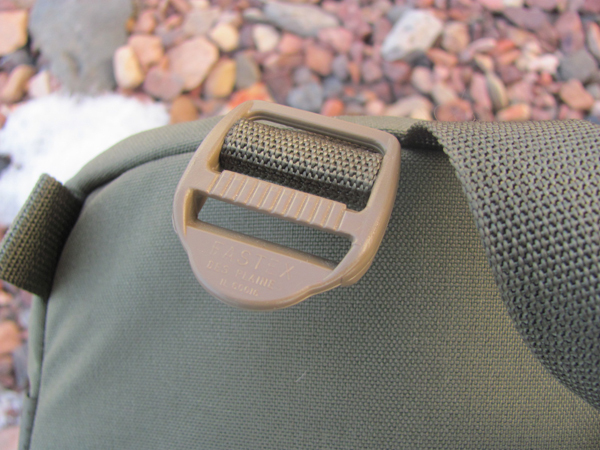 Be sure to run the ends back through the buckle to keep the adjustment from sliding. 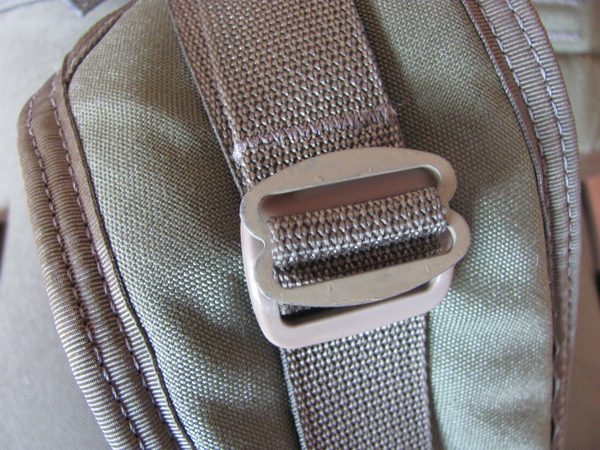 Then attach the repair ladderlock buckles (from the rear pocket of your pack) onto the tabs adjacent to the grab loop. Be sure that they're in the proper orientation as shown. If they don't hold tension, you put them on upside down. Now lace the load lifter straps into place. To do so, slide the upper tri-glide on the harness to it's top most position, then thread the lifter straps through as shown below. After threading through the tri-glide, thread through the ladderlock buckle. 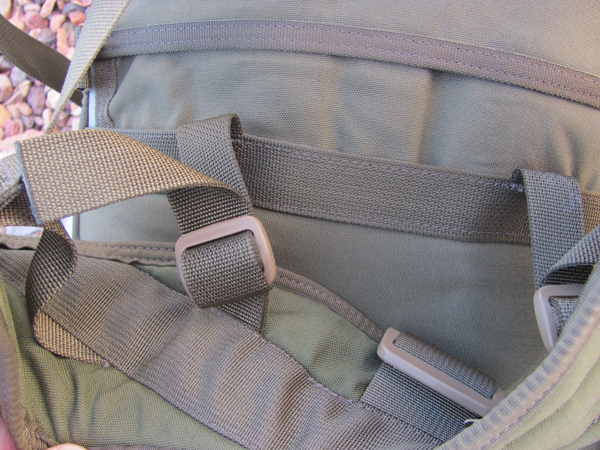 If the webbing is thin enough, or the sewn part double turned (instead of triple turned), you may be able to thread the lifter strap through the harness ladderlock as shown in this picture. Either way works (above or below picture), but the below picture is a little cleaner if you can make it happen. Then thread the other two straps through the plastic buckles on the lower sides of the pack and then through the ladderlock buckles at the very bottom of the harness. Finally, play with the torso length adjustment and the lower strap tension until the pack naturally rests right in your lumbar area and flat against your back otherwise. If it is in your lumbar curve, but hangs away at the top, your torso is adjusted too long or your lower straps are adjusted too short. Once you get these two adjustments dialed in so it hangs exactly where it should on your back, don't ever change them. 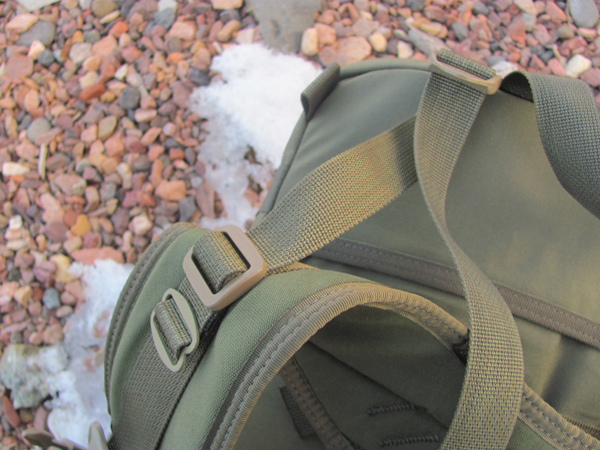 There is no need to loosen and tighten the strap lowers every time you put your pack on, and in fact it creates a problem if you can't easily re-find the correct adjustment point. However, you should be loosening and tightening the load lifters every time you take the pack off and put it on.